Robert Lichello was the creator of the AIM system – the Automated Investing Method. His book How to Make $1,000,000 in the Stock Market Automatically was first published in 1977. This amazing system has taught people how to scientifically and reliably buy stocks low, sell stocks high, and earn reliable profits over a lifetime – through up and down markets. Thankfully, we now have Jeff Weber, owner of JJJ Investing Services. He has been using – and improving – the AIM system for over 30 years. He and his family have also been benefitting from his AIM investments over that time. The major improvement is to use long term options or LEAPS with AIM instead of regular stocks. That is because options are more volatile than the stocks they are associated with. When you have a scientific system to automatically buy low and sell high, the more often you can do this (and the greater the swings between up and down) the more profits you will make. And faster. Jeff’s “Dogs of the Dow” portfolio has increased from $15,000 to over $154,200. The Dow portfolio is up 928% since September 1993, over 25 years later. 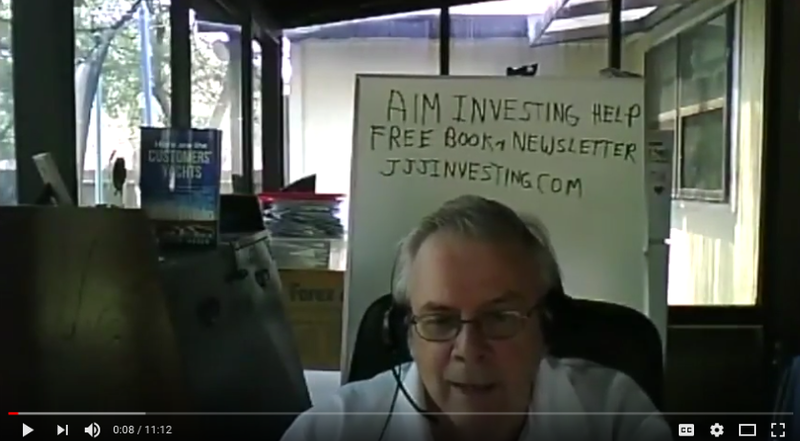 Now Jeff is on YouTube to help more people benefit from the AIM investing method. Here is Jeff’s very first video on YouTube. Watch it and subscribe so that you get notified about future videos. After watching, be sure to hit the “SUBSCRIBE” button and the bell so you are notified about more videos. They are in the works so that you can learn and benefit from the AIM investing method! Ready to learn how you can benefit from the AIM system with LEAPS? Take advantage of Jeff’s special offer to receive his private monthly newsletter free for the first year. Request it here.